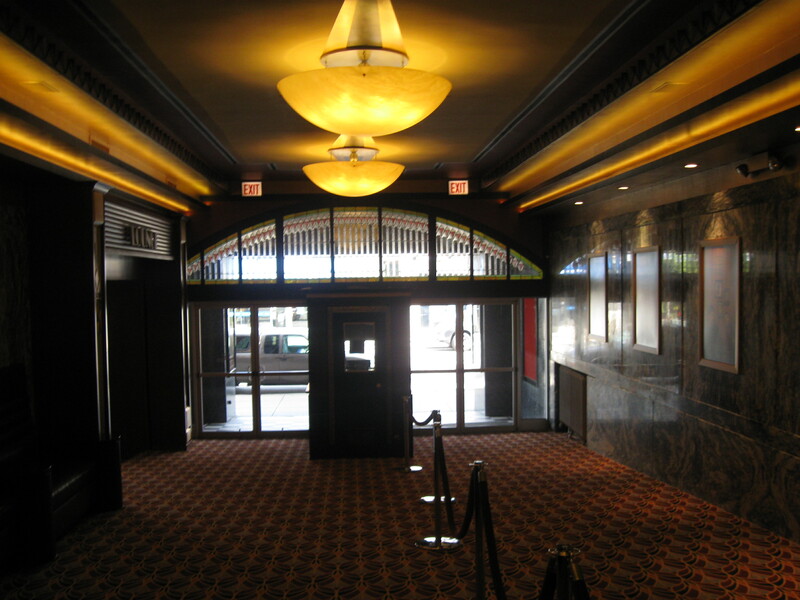 I recently was given a tour of the new Logan Theatre by marketing director Shayla Kloska. If you haven’t been there since the rundown days, you owe it to yourself to be there and see it. Attendees of the upcoming CIMMFest are going to be pleasantly surprised. Read about it and check out a couple more pictures at the CIMMFest News blog here. The Underground Multiplex not only takes a different approach to creating entertainment, but is committed to an alternative non-corporate method of its distribution. Personally, there’s not much I detest more than a “middleman” stepping in to shave moneys off hard work with the promisethat he/she will expose an artist’s work to more pairs of eyes. If Chicago wants to see the work of TUGM, you are free to see it. Our work goes online, and we go one better: You can get a DVD from TUGM free, right now! Yes, right now! Just head to Logan Square and look for the DVD stand pictured in Joe Lewis’ next viralz video shown here. Hopefully, the stand will still be there by the time you reach it for it was left by a mysterious possible Scumbaby traveling through another dimension. You know how the defense department snatches up strange objects like this, hoards them and denies their existence so be quick.